Top 5 Tablets for Online Gaming. Let the Gaming Begin. What may have started out as a trend in the gaming industry has quickly become so much more as online gaming has ballooned into a worldwide industry worth billions. With that said, there are more and more players each and every day looking for their way to get online and take part in the fun. Of course, in order to do that you need to have a device that supports these various online gaming sites and their companion apps. While you can use your smartphone, a tablet can be a more enjoyable gaming experience thanks to the added features and a bigger screen size. If you’ve decided that you’re done playing the online casino games on the smaller screen of your smartphone and you want a tablet that can better handle your interests, then you’re going to want to read on. Here we’ll take a look at the top five tablets that are ideal for online gaming, no matter what your skill level is, or which gaming sites are your favourites. Where the Amazon Fire really shines when held up to other models, is in the price point. Starting at just £49.99 this is a budget-friendly option that won’t break the bank. The basic model features 8GB of space, which granted isn’t a lot but for that price, it is still a steal of a deal. The storage can be increased by purchasing a MicroSD card, which is recommended in order to boost the capabilities. You can upgrade the storage up to 200GB. If your budget allows, you can also check out the Amazon Fire 10, which features an HD screen. With the holidays coming up, there may be sales closer to Christmas, as Amazon often offers discounts on their Fire tablet. For those who want to be able to enjoy all the fun and excitement of these online games, but still be able to use the tablet for more, then the Apple iPad Pro 9.7 may be more your speed. This is obviously a big budget increase over the Amazon Fire, but you’re also getting a lot more with that higher price tag. If you already own an Apple smartphone, it makes sense to stick to the same brand and have them sync as well. This tablet is often referred to as more of a computer than a tablet. It has an impressive 10-hour battery life, the base model features 32GB of storage, and the 9.7″ screen is perfect for seeing all the details. Again if you’ve got the money to spend, you can upgrade your device and get more storage and a larger screen size with the 12.9″ model. This one definitely feels more like a laptop than a tablet thanks to the size of it. Those who prefer to stick with an Android device can check out Samsung’s popular Galaxy Tab S2 or S3. These ones are built to be user-friendly but are extremely powerful and high-tech all at the same time. These tend to be on the more pricey side, like the iPad, and start at £469 for the Tab S3 base model with a 9.7″ screen. Where this one excels is the fact it has a 12-hour battery life and features an S-Pen stylus, which can make navigation and gameplay even easier. Samsung is also well-known in the industry for its incredibly high-quality screens, which feel like a full desktop computer rather than a handheld tablet. That brings us to the most expensive offering on the list, the Microsoft Surface Pro, which starts at £749.99. This one should definitely be thought of as more of a laptop than a standard tablet, so with that in mind, it’s important to remember you’re getting a lot more features. This tablet is Microsoft’s baby and it is getting plenty of buzz in the marketplace. It actually markets itself as a tablet and laptop solution, making it a hybrid. The battery life is an impressive 13.5 hours, so be prepared to get plenty of gaming time on a single charge with this machine. Last but not least, we have the Sony Xperia Z4, which comes in at £685, making it another pricey offering. Where this one stands out from the crowd of competitors is that Sony has really managed to perfect the sound on these devices. You will be getting high-resolution audio, which means those games will feel just like the real thing when you’re playing. It’s also great at blocking out the outside sounds when you’ve got headphones on, which means you won’t have to deal with distractions. The base model features 32GB of storage and this one offers the best battery life, with up to 17 hours on a single charge. One tip to keep in mind when you first fire up your new tablet is that it would be a good idea to check out your favorite gaming sites and ensure the experience is what you hoped for. Some stores and retailers will let you return or exchange your item within a set number of days of purchase, so you want to be sure that you make that decision before time runs out. And when it comes to the most popular gaming sites out there, make sure you select a great customer friendly gaming site such as Stakers. With its famous no deposit bonus, this site features all the top and trending games, as well as the classics. You can enjoy a game of poker, baccarat, or roulette any time you feel like it, and even join a live game with others in real-time. 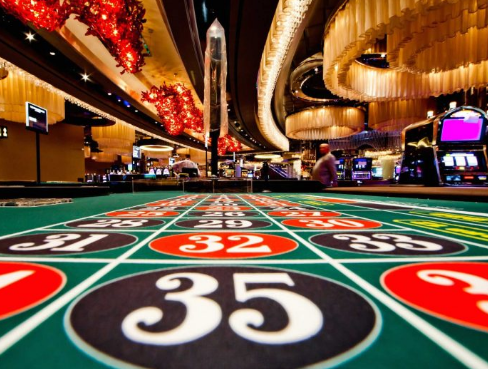 As well, the site has more than a thousand slot games to play. Each of these options can give your new tablet the test run it needs to show you how it truly performs. So, no matter which tablet you choose off this list, there is one thing for sure, and that is the fact that you’ve got some engaging and entertaining online gaming and playing ahead of you.